COMEDY CELLAR WILL DEBUT AT RIO: The renowned Comedy Cellar will open its first West Coast location with an underground Greenwich Village club vibe including the low-ceiling design and brick wall plus stained glass at the Rio on Thursday, April 5. The comedy club will include the full food and drink menu from the club’s sister bar and late-night hangout The Fat Black Pussycat. The Comedy Cellar debut showcase lineup April 5-8 will highlight comedians Mo Amer, Kyle Dunnigan, Nathan McIntosh and Jessica Kirson. Showcase performances are Thursday through Sunday at 7 and 9 p.m. with an additional 11 p.m. show on Saturday. 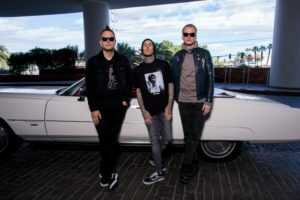 Headlining performances will be held Wednesday at 9 p.m. and 11 p.m. Steve Byrne, a 10-time guest on “The Tonight Show,” will appear on April 11. 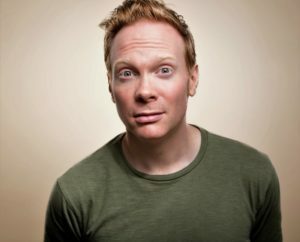 Byrne has performed globally to sold-out crowds, produced two hour-long Comedy Central specials, “Happy Hour” and “The Byrne Identity,” the Netflix special “Champion,” and the Showtime special, “Tell the Damn Joke.” Tickets are $45 for general admission. 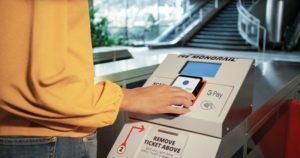 LAS VEGAS MONORAIL LAUNCHES MOBILE TICKETING: The Las Vegas Monorail Company with zero-emissions trains has launched virtual transit ticketing with the new Google Pay app for Android phones. Riders can now purchase fares online and use their phone at the fare gates for immediate transit access. Customers can purchase and save tickets using their credit and debit cards or PayPal account linked to Google Pay with the security of Google encryption. It is the first transit system to offer a mobile contactless fare ticket alongside traditional paper tickets. For non-Google Pay customers, the Monorail now offers Scan-and-Go mobile ticketing. These guests can also purchase tickets online and specify whether to receive the electronic ticket via email or text message on their mobile device. At the fare gates, riders can scan the e-ticket’s QR code and ride. 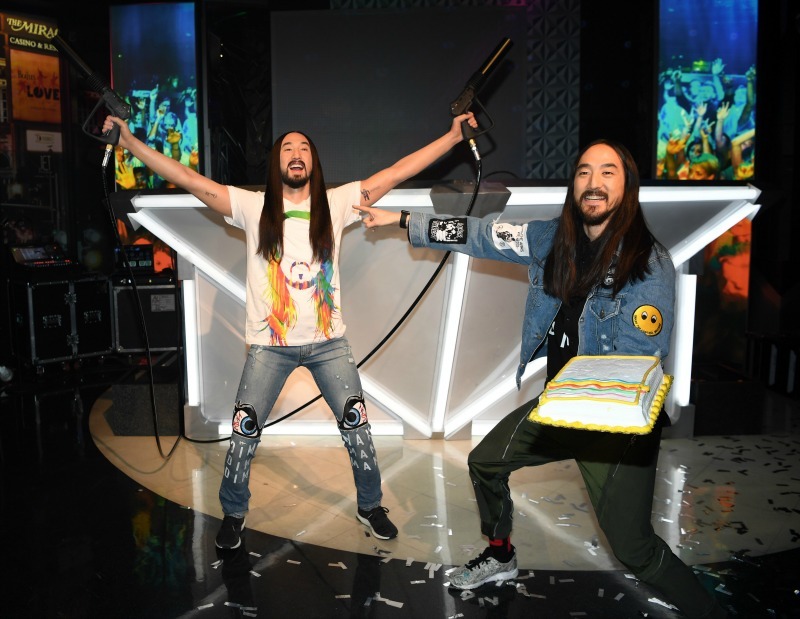 STEVE AOKI ‘CAKES’ HIS WAX FIGURE AT MADAME TUSSAUDS: Madame Tussauds threw a fan party to launch the new DJ Experience at the Strip attraction with Grammy-nominated international DJ and producer Steve Aoki in attendance for the unveiling of his wax figure. 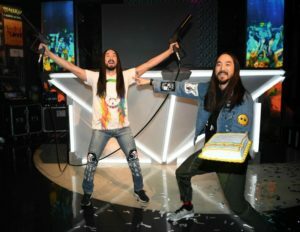 Reflecting Aoki’s style, his likeness holds laser cannons which project digital beams and wears denim pants from the artist’s Dim Mak collection. Matching Aoki’s signature antics, the evening wouldn’t have been complete without him doing a live set then caking himself in wax form. Madame Tussauds new dance-party installation puts guests behind the decks of a DJ pyramid complete with lasers, lights and holograms. 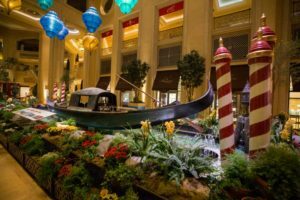 GONDOLA DISPLAY IS NEW AT THE VENETIAN: There is a new seasonal display at the waterfall atrium inside The Venetian® / The Palazzo® featuring one of the world’s oldest Venetian gondolas thought to be constructed around 1850. The gondola includes a felze or cabin, which was used for protection and privacy with windows having louvered shutters, or what is now known as Venetian blinds. An icon of Venice, the elongated boat spanning 36 feet and nearly five feet wide is showcased among a collection of hundreds of flowers creating a wonderful photo op. Annually more than half a million visitors experience a gondola ride at The Venetian and some guests even learn to be a gondolier through the Gondola University program. 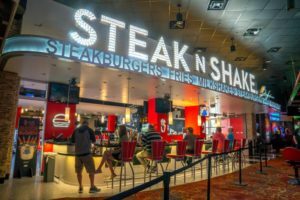 HOOTERS OPENS LARGEST STEAK ‘N SHAKE LOCATION: Hooters just off the Strip opened the largest Steak ‘n Shake and the only Las Vegas location to serve the entire breakfast menu. On Monday, April 2, the third Steak ‘n Shake location will transition to being open 24 hours daily. In addition, the new location features a Milkshake Bar serving hand-scooped milkshakes. Sadelle’s, New York City’s popular vintage-style restaurant and bakery established in 2015, will open at Bellagio in December after Café Bellagio closes in August. The all-day dining concept will transition from a breakfast-centric haven to a power lunch hotspot to a relaxing dinner locale. Once (pronounced on-seh) is a new Peruvian restaurant in The Palazzo at Grand Canal Shoppes by Chef Ricardo Zarate, who Los Angeles media dubbed “the Godfather of Peruvian Cuisine.” Once meaning “eleven” in Spanish acknowledges Chef Zarate’s place as the 11th child in his family and the menu features 11 à la carte plates intended for sharing. The food is inspired by the chef’s interpretations of his early food memories in his native Peru and changes weekly based upon what is available at the farmer’s market. 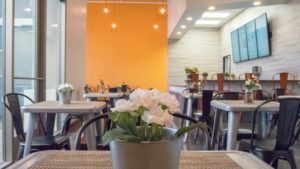 Healthy casual eatery Portion Control will open its second location on Saturday, March 31 inside Suite 150 at 2560 St. Rose Parkway with its guilt-free gourmet menu. Designed to achieve optimum health, Portion Control offers inspiring alternatives for classic American comfort foods. The extensive clean eating menu includes breakfast, lunch, dinner and healthy snacks for dine-in, take out and meal prep services. Portion Control Henderson hours will be Monday through Saturday 8 a.m. to 8 p.m. and Sunday 10 a.m. to 4 p.m.
Who knew…Grilled Cheese Day is April 12. An adult version of the staple made with sautéed lobster served on Texas toast with fontina cheese will be served that day at Chef Emeril Lagasse’s sports bar, Lagasse Stadium at The Palazzo. 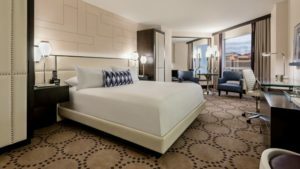 HARRAH’S HAS REMODELED ROOMS: Harrah’s is celebrating its 80th anniversary with a $140 million makeover of some of its guest rooms at its mid-Strip Las Vegas resort. The Valley Tower transformation has more than 1,600 rooms and suites now featuring cream-colored decor with dark wood accents and contrasting new furnishings with fabrics in shades of blue and purple. 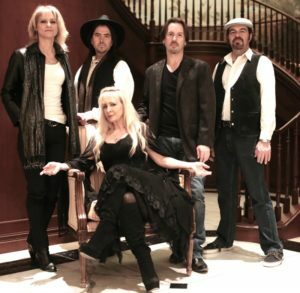 BOSTYX AND HEART BY HEART PERFORM AT THE CANNERY: It will be a heavy night of music at the Cannery in The Club on Saturday, March 31 when tribute bands BOSTYX and Heart by Heart share the showroom beginning at 8 p.m. Tickets start at $19.95. BOSTYX featuring David Victor, former vocalist and guitarist for the multi-Platinum-selling rock band Boston, will bring rock bands Boston and Styx’s greatest hits to the stage including tunes “More Than a Feeling,” “Amanda,” “Come Sail Away” and “Renegade.” Heart by Heart was created by former band members of Heart. Rock and Rock and Roll Hall of Famers, Steve Fossen and Michael Derosier. The tribute band replicates music that is authentic to Heart’s original sound and style with their performances of the hits “Magic Man,” “Dreamboat Annie,” “Crazy on You,” “Barracuda” and more. CANNERY FEATURES TWO FESTIVALS IN APRIL: Two annual music festivals will be held at The Club inside the Cannery in April. The ‘60s music celebration will be Cannerystock with performances by top tribute bands on Saturday, April 7 at 6 p.m. Featured acts will include: Peace Frog: Tribute to The Doors; Mirage – Visions of Fleetwood Mac; Mick Adams and The Stones: Tribute to The Rolling Stones; Kelly Sheehan: Tribute to Janis Joplin; and singer-guitarist Dean Bradley. There will also be ‘60s themed food, arts, crafts and activities, including a make-your-own tie-dye station. Tickets start at $20. Later in the month, the 15th Annual Blues, Brews and Barbeques Festival will happen on Saturday, April 28 beginning at 5 p.m. The event will highlight a wide selection of local and craft brews and barbeque dishes from some of the best local BBQ restaurants. Live entertainment will be provided by top local blues bands, including David Gerald Band, Shari Puorto Band, Rum Runners and Izon Eden. Tickets start at $10. TACOS AND TAMALES FESTIVAL WILL DEBUT AT SUNSET PARK: The inaugural Tacos and Tamales Festival presented by Clark County Parks and Recreation will be held Saturday, March 31 from noon until 8 p.m. at Sunset Park featuring taco and tamale creations by local restaurants and food trucks, a Vegan Village, micro beer, Tequila Tasting and Beer Garden, live music, Lucha Libre wrestling exhibitions, carnival rides, kids’ activities and more. Admission and parking is free. Tickets to the Tequila Tasting and Beer Garden are $25 and will benefit local charity Create a Change Now. Celebrating springtime and Easter, the inaugural “Stratosphere Chocolate Festival” will be held at the resort’s 8th floor rooftop Elation Pool deck from 6-10 p.m. on Friday, March 30. The chocolate and wine tasting experience will feature tastings from Ethel M Chocolates, decadent chocolate desserts from the Stratosphere’s Tower Creamery, and wine tastings for the adults by Trinchero Family Estates, Ste. Michelle Wine Estates and Constellation Brands, along with specialty chocolate cocktails. Family activities will include a photo opportunity with the Easter Bunny, an egg hunt, face painters and a silent disco. Bunny ear sales will benefit Adam’s Place, a Grief Center for Children and Families. Tickets are $30 for adults and $12 for children 12 and under. 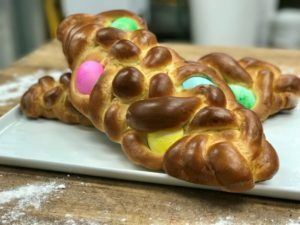 Family-owned Freed’s Bakery, featured on Food Network’s show “Vegas Cakes,” will offer Easter egg bread with colored hard-boiled eggs braided into it for $9.95 and hot cross buns with chopped dried fruit for $1.35 a piece Thursday, March 29 through Sunday, April 1. Hours on Easter are 10 a.m. to 4 p.m.
Rí Rá will recreate the Easter dinner Irish grandmothers made on April 1 from 10 a.m. until 2 p.m. The specialty menu includes: Honey Orange Whiskey Glazed Ham ($22); Salmon Boxty ($23); Rosemary and Mint Roasted Leg of Lamb ($24); or Prime Rib Carvery ($29). In addition, Rí Rá will hold two Afternoon Tea menus, The Dunbrody Afternoon Tea ($24) and The MacNean Afternoon Tea ($35), available from 11 a.m. to 4 p.m.
Nevada-based gourmet chocolatier Ethel M Chocolates® has a new spring collection with 3-D effect packaging. The limited-time edition features eye-catching tins, boxes and other small gifts embellished with bold colors. Ethel M has also created two new Easter inspired chocolate eggs: a dark chocolate peanut butter cream egg and a milk chocolate strawberry ganache egg. Celine Dion due to a middle ear condition is postponing her March 27 to April 18 concert dates to undergo a minimally invasive surgical procedure to correct the problem. She is set to return to The Colosseum at Caesars Palace on May 22. Freed’s Bakery located at 9815 S. Eastern Ave. will celebrate season two of its Food Network “Vegas Cakes” hit show with a cast meet-and-greet from 3 until 5 p.m. on Monday, April 2 and serve a complimentary shortbread cookie in preparation for the season’s premiere episode that night at 10 p.m.
“BAZ – A Musical Mash-Up,” a new-generation cabaret at The Palazzo, celebrated its 500th performance this month. 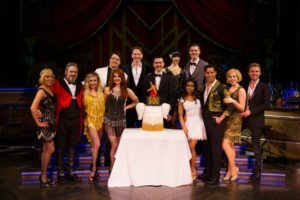 Cast members were presented a special cake on stage to commemorate the occasion. More than five years in the making, “BAZ” is the creation of For The Record, a Los Angeles-based genre-bending theatrical company. The show is performed Tuesday through Sunday at 8 p.m. The Neon Museum is now offering paired tickets, which combine a tour of the Boneyard with a museum interpreter, followed by the 30-minute presentation of “Brilliant!” in the outside North Gallery. Up to 50 guests are transported directly at one time into Las Vegas’ history. To celebrate World Health Day on Saturday, April 7, the Silverton will hold the Vino & Vinyasa event organized by So-Fit Events from 10 a.m. to 1 p.m. outside on The Green. A 60-minute yoga class at 11 a.m. taught by Jennifer Lee and accompanied by Dirk K. on guitar will be followed at noon by a wine tasting and bottomless brunch al fresco. Participants should bring their own yoga mat and water bottle. Cost is $40 or $25 for yoga only. 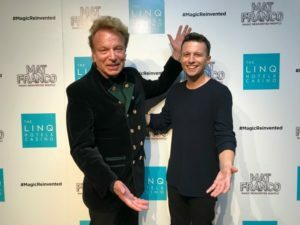 Recently, magician Siegfried Fischbacher, of the legendary duo Siegfried and Roy, attended “Mat Franco – Magic Reinvented Nightly” in the Mat Franco Theater at The LINQ. Topgolf’s Kids Summer Academy for ages six to 12 is a five-day golf education program taught by a golf teaching professional and taking place over five weeks, May 28-June 25. Classes are Monday through Friday 9 a.m. until noon. Cost is $199 plus applicable taxes and fees. The travel planning and booking site, TripAdvisor®, revealed the winners of its Travelers’ Choice® awards for Destinations. Paris is the global winner, while Las Vegas came in third in the United States with New York City ranking number one for the eighth consecutive year. SAHARA EVENT CENTER PRESENTS LUCHA LIBRE LAS VEGAS LIVE: Lucha Libre Las Vegas Live by former WWE Superstar Sinn Bodhi (“Kizarny”) will be held at the Sahara Event Center, 800 E. Karen Ave., on Sunday, April 8 from 1:30 to 4:30 p.m. There will be six big matches featuring singles and tag team competitors from Mexico, California, Arizona and Nevada including Lucha Underground (NETFLIX) star Willie Mack vs former WWE Superstar D’lo Brown. Ticket range is $4 to $13. COUPLE VIEWING SPOTS FOR UFC 223 FIGHT AND HOCKEY: Beer Park at Paris will host a rooftop viewing party for the Ultimate Fighting Championship (UFC) 223 fight between Tony “El Cucuy” Ferguson and Yana “The Eagle” Kunitskaya on Saturday, April 7. Party admission will be $25, and tickets will include two Budweiser Signature draft beers and complimentary VIP seating. Another spot for watching the UFC 223 will be at Topgolf with preliminary fights starting at 5 p.m. General admission tickets start at $15. A Vegas Golden Knights watch party will take place at Brooklyn Bowl at The LINQ Promenade on Tuesday, April 3 when the team faces off against the Vancouver Canucks in British Columbia. Doors open at 5 p.m. while the puck will drop at 7 p.m. The party $25 entry fee, which includes one free drink and a raffle ticket, will directly benefit the Vegas Golden Knights Foundation. Keeping PACE for Easterseals Nevada Family Fun Carnival will be held Saturday, March 31 at Wayne Bunker Family Park, 7351 W. Alexander Road. The event will begin with the walk at 10 a.m. The carnival with live music, games, vendors, petting zoo, etc. will run from 10 a.m. to 2 p.m. with the children’s egg hunt at 11:30 a.m. Cost for the walk, carnival and egg hunt is $35 for adults and $15 per child ages 3 to 12; and, carnival and egg hunt only $10 for adults and $5 per child. 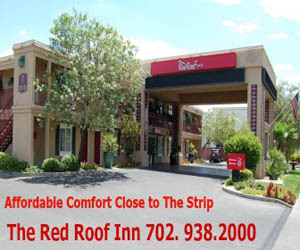 All proceeds benefit Easterseals Nevada programs. Las Vegas’ nine Jersey Mike’s Subs restaurants are running the 8th Annual “Month of Giving” through March collecting donations for Children’s Heart Foundation (CHF). The campaign will culminate on Wednesday, March 28 with Jersey Mike’s “Day of Giving” where 100 percent of the day’s entire sales, not just profit, will go to CHF. Last year’s “Month of Giving” campaign raised more than $5.5 million for local charities nationwide. The Out of the Darkness Las Vegas Walk to benefit the American Foundation for Suicide Prevention will be held Saturday, April 7 at Craig Ranch Regional park in North Las Vegas from 9 a.m.-noon.